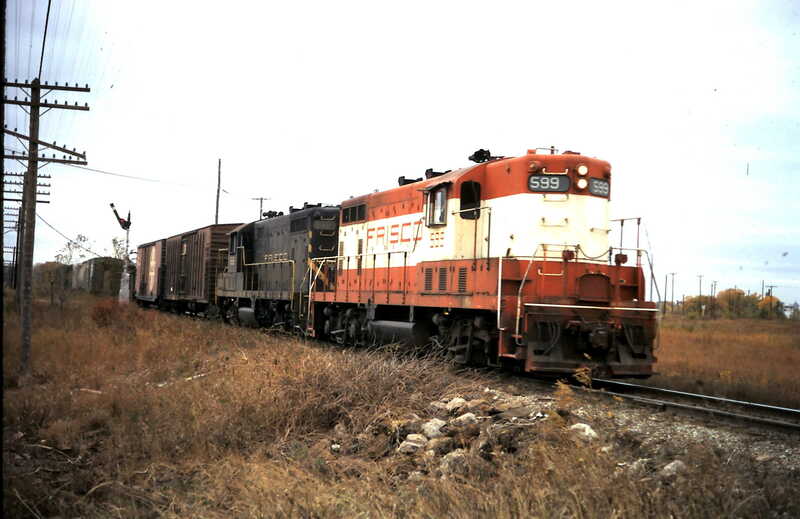 GP7s 581, 590 and 599 at Idabel, Oklahoma on April 4, 1975 (William Eley). GP7 599 at Paris, Texas in April 1974. GP7 599 (date and location unknown). 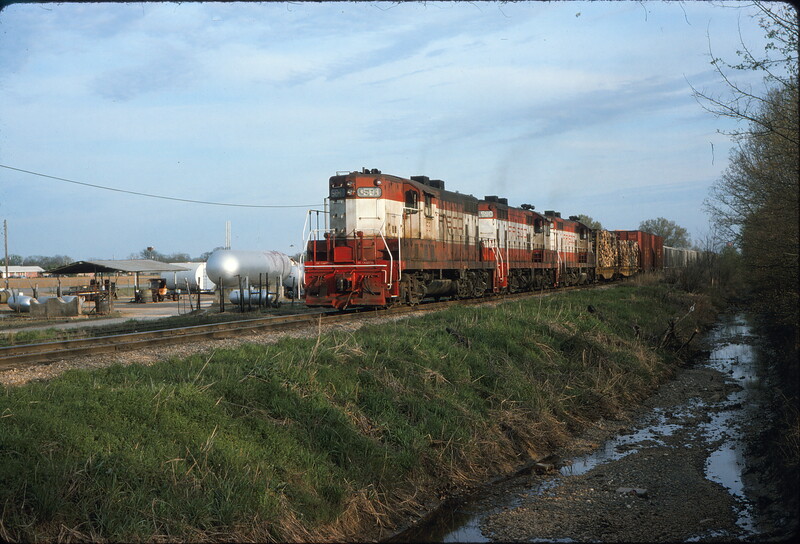 GP7 599 at North Clinton, Missouri on September 9, 1972. 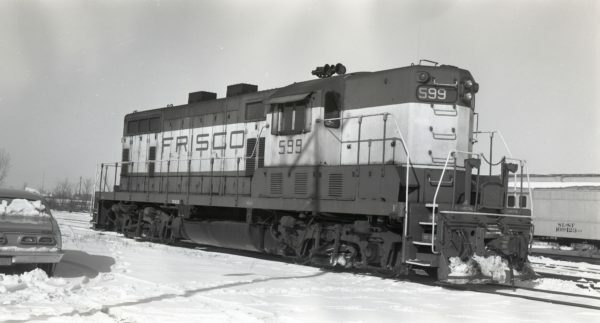 This unit was received by Frisco on November 30, 1951. 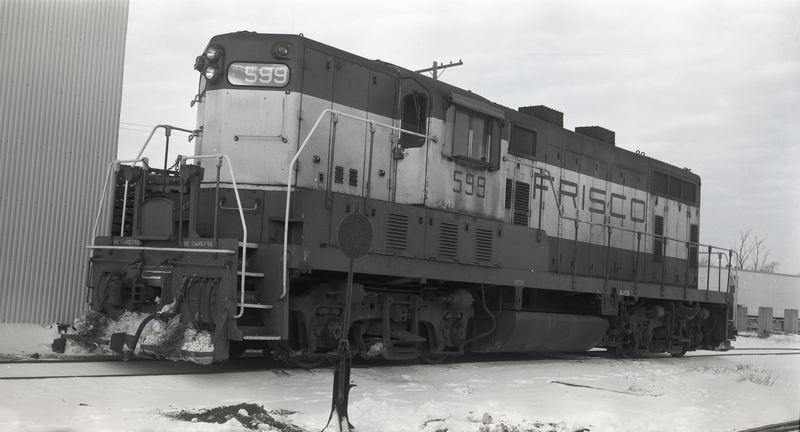 GP7 599 at North Clinton, Missouri on January 26, 1976. 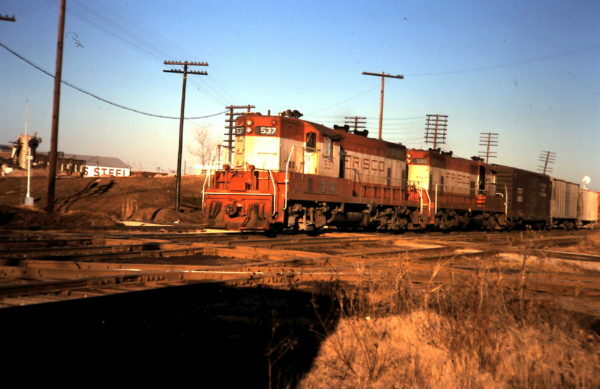 GP7 599 at North Clinton, Missouri on January 27, 1976. Pictured here, the unit was near the end of its duty for Frisco as it was sold to PNC on December 17, 1976. 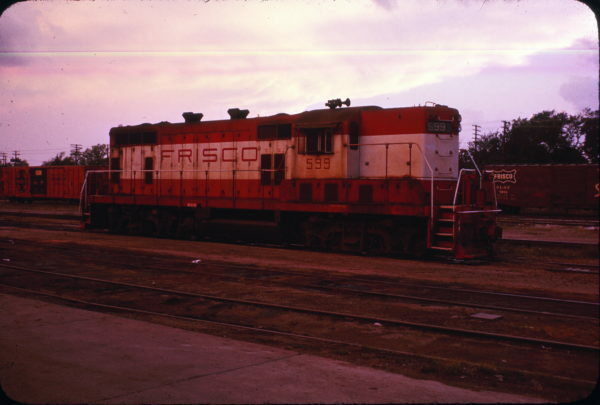 GP7s 537 and 599 at Tulsa (Oklahoma) Tower. 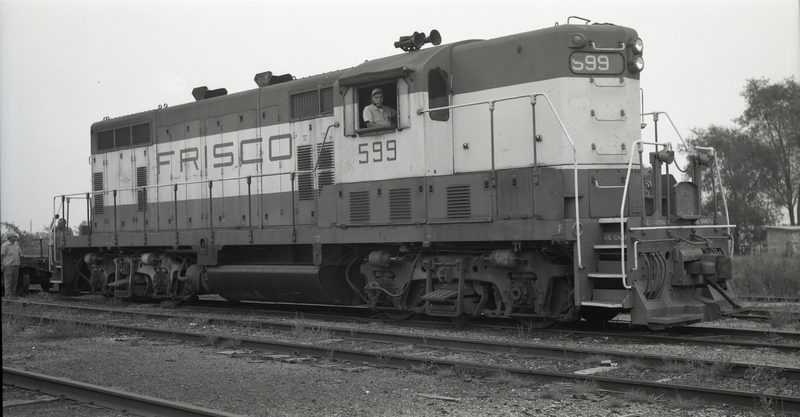 The crossing is with A.T.S.F., M.K.T. and M.V.